When looking for a professional to complete home improvements, over 40 per cent of homeowners have consulted a tradesperson’s online reviews, whilst 37 per cent have used websites for recommendations*. Rob Gould, Commercial Trainer for Cedral fibre cement cladding, explores how individuals can utilise accreditation schemes to help enhance their business offering. As consumers regularly use the internet as a source for reliable and trustworthy referrals, professionals are increasingly considering training schemes in a bid to help promote their business to a wider range of consumers. Becoming accredited in further skillsets not only enables them to reflect their high standard of expertise and experience but also aids them in securing more work. 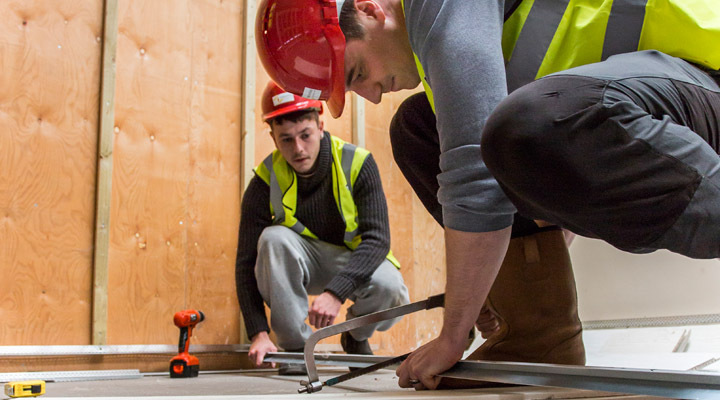 Cedral is one such company supporting tradespeople in further developing their skills, giving them an edge within such a competitive industry. The Cedral Select Recognised Installer scheme has been specifically designed to support individuals in becoming fully competent in the application of Cedral fibre cement cladding. 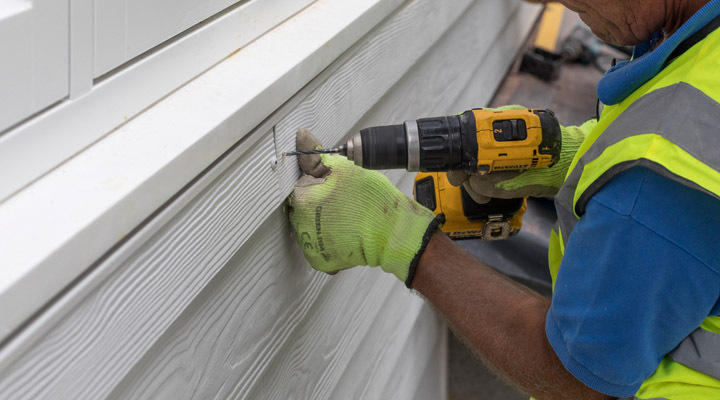 Its aim is to support them in securing a greater level of projects, whilst giving consumers a choice of tradespersons who offer the highest standard of workmanship. 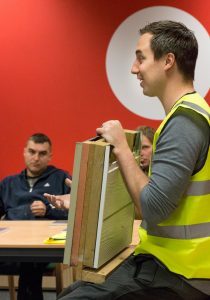 The scheme hosts specific training events that educate individuals on the benefits of Cedral and how to correctly install it. This ensures the work is being carried out to the highest standard and customers can be confident the work is being completed to the manufacturer’s guidelines. For homeowners, deciding to change the exterior of their home is a substantial investment, so they are looking to hire the most skilled and reliable professionals. This is why the Cedral Select Recognised Installer scheme was created, to provide training, resources and ongoing support. It also allows contractors to attend a range of training courses that can extend their knowledge base, and ultimately aid upcoming projects. An example of how the Cedral Select Recognised Installer scheme has benefitted both parties is a recent Cedral project completed as part of a substantial renovation located in Caldecote, Cambridge. All Colour Windows and Doors Limited were chosen by the homeowners to complete the installation of Cedral Lap across the entire property. The home had undergone a significant extension and remodelling, transforming it from a bungalow into a two-storey home. The homeowners contacted Cedral looking for an installer to fit the material, whereby they discovered the Cedral Select Recognised Installer scheme. After visiting the website, they recruited All Colour Windows and Doors, who are located within the East Anglia region. Speaking of the renovation, All Colour Windows and Doors Managing Director, John Hill, said: “As a company, we decided to take part in the Cedral Select Recognised Installer scheme as we wanted to be able to give homeowners peace of mind that we are completing the work to the highest standard. By ensuring that we complete all projects in line with the Cedral guidelines, our clients can be assured that we possess the skills and knowledge of a Cedral Select Recognised Installer, providing a great job every single time. “As a result of being chosen by the homeowners to fit Cedral, we were also hired to complete the rest of the renovation project. This included the painting and upgrading of the existing PVCu windows, installation of new fascias, soffits and new composite doors, as well as fitting Cedral to the additional out buildings. The scheme is available to individuals who undergo a dedicated training programme as well as assessments and audits. Once completed, they will be featured on the Cedral website as a Recognised Installer where they can be contacted by homeowners for future constructions. Peter Brown, the homeowner who commissioned All Colour Windows and Doors, added: “I was delighted with the installation quality, the choice of two contrasting colours and the realistic rustic effect. Cedral looks really natural so it ensured that the property blends in with its surroundings. Above all it is low maintenance and provides good value for money, I’d recommend Cedral to anyone considering it for their home. As an alternative to timber and traditional PVCu cladding materials, Cedral is a lightweight and easy to fit fibre cement cladding solution, enabling professionals to create visually striking and long-lasting exteriors with ease. The material offers outstanding durability, with a minimum life expectancy of at least 50 years. Cedral Click is the UK’s first and only flush fitting, fibre cement tongue and groove cladding material. Supplied with a ‘Click Clip’ installation system, Cedral Click can be fitted quickly and easily to create a sleek and contemporary finish. Offering a more traditional finish, Cedral Lap is installed in a classic clapboard effect, with the planks overlapping one another to create an iconic New England aesthetic.